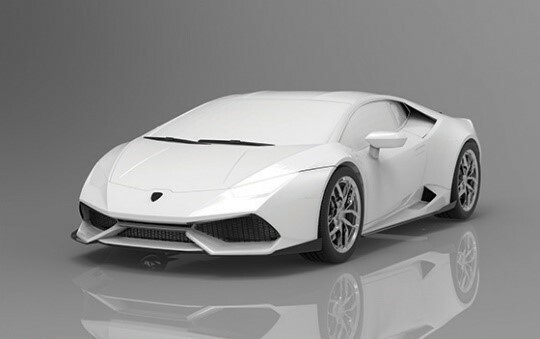 EMS’s 3D scanning technology enabled RSC Tuning to create a precise digital representation of the Huracán, eliminating the need for traditional clay molds and reducing risk of damage to the exotic auto. 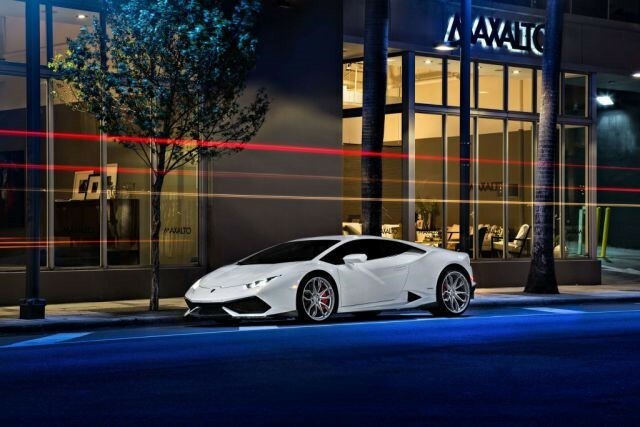 RSC Tuning, a leading manufacturer of performance products, styling accessories and aerodynamic components for exotic vehicles, planned to engineer an OEM quality carbon fiber aero kit for the Lamborghini Huracán. Well known in the tuner community for developing cutting edge aftermarket products for exotic vehicles, RSC Tuning wanted to find a better way to design and engineer OEM quality carbon fiber parts in an industry where aftermarket parts were not always well built. 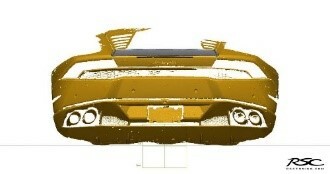 Rather than design the aero kit parts using traditional hand molding methods, RSC Tuning decided to use 3D scanning to capture a detailed digital model of the Huracán and design the parts on the computer using 3D CAD software. RSC contacted EMS based on the company’s knowledge and experience working with exotic cars utilizing a full range of 3D scanning technologies. Within a single day, EMS completed the 3D scanning process using a Surphaser and Creaform MetraSCAN. 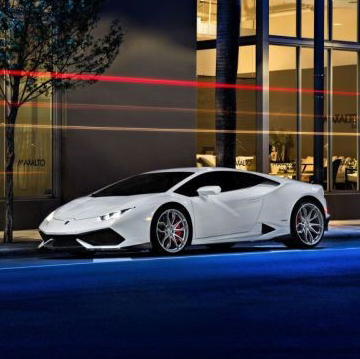 With the ability to scan 1.2 million points per second and 360 x 270 degree scanning, the Surphaser was used to capture the detail of the larger surfaces of the Huracán in high resolution. EMS then used a handheld MetraSCAN 3D optical CMM scanner, with its portability, extendable measurement volume and ability to accurately scan dark and shiny objects, to capture the underside and darker areas of the vehicle in the detail needed. After completing the 3D scanning, EMS combined and aligned the scan data to create a high resolution digital model of the vehicle. 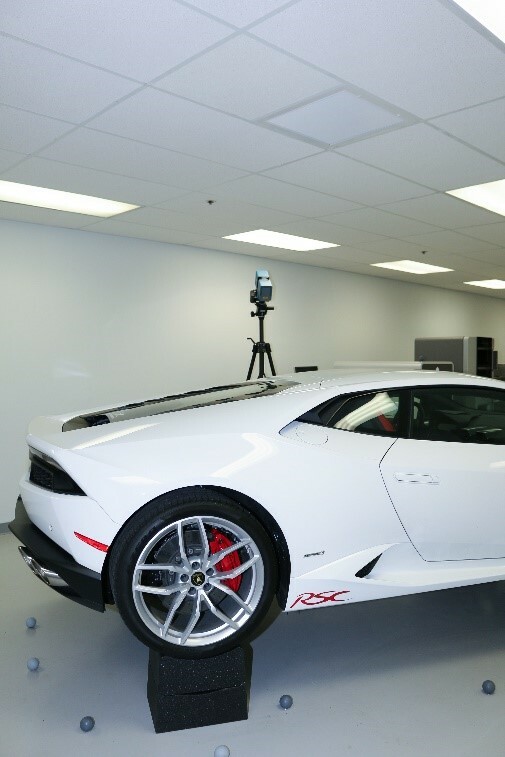 3D scanning greatly reduced the time RSC needed to have the Huracán in the studio. 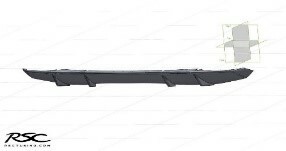 Maybe more importantly, it allowed RSC Tuning to capture a highly accurate representation of the Huracán in the computer without touching or damaging the vehicle. From there RSC worked with EMS to design the new carbon fiber aero kit parts, including front and center splitters, eyelids, side skirts, rear diffuser and ducktail spoiler. EMS then 3D printed the CAD files for RSC to test for fitment and attachment. By using 3D printed parts for testing, RSC to able to avoid using expensive carbon fiber prior to actual production. 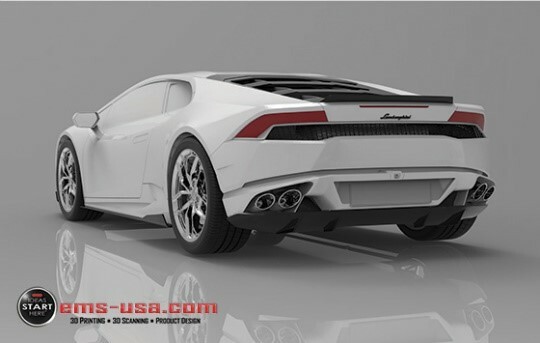 EMS’s 3D printing capabilities enabled RSC Tuning to quickly capture a computer model of the Huracán that provided the digital starting point to design the LP680 aero kit parts. The non-contact optical scanning reduces potential damage to the car by reducing physical contact and studio time. It also allowed RSC to use 3D printed parts for testing rather than expensive carbon fiber test parts. The digital files have since proved useful beyond the initial kit as RSC considers new potential new products for the Huracán. To watch a video about RSC Tuning’s Huracan Carbon Fiber Aero Kit project, click on the image below.